Join us Tomorrow for Back To School Night! If you can help serve Pizza or assist with set-up or clean-up for Back to School Night, please sign up online. Would you like to avoid getting so many flyers? You’ll still have a folder and will occasionally receive flyers that need to be returned, so be sure to check it each week! Scans of all the flyers that go home each week are attached to each e-folder at the bottom ?? of this post, so be sure you are opening and reading those as well. 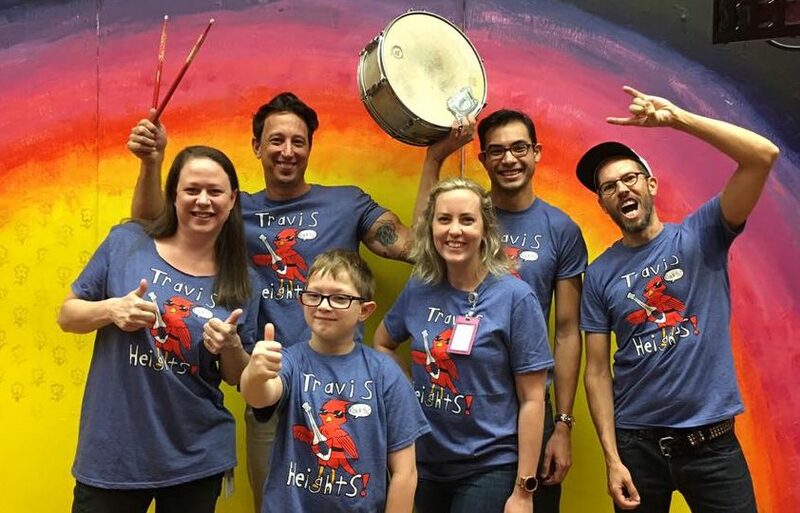 Three parts teachers, two parts parents, & one part student, the all new Thunderband made its first appearance last Friday and now they are ready to rock for the lower grades this week! 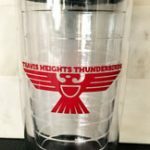 So on Friday drop off your little T-Bird in the gym for their first assembly. If you have a school shirt, make sure you wear it. 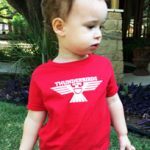 Fridays are our day to show your school spirit by wearing a school shirt or Thunderbird colors (red & white)! Be ready to rock at 7:40! *PreK does not join assembly until January. *In January, 2nd grade joins upper grade assemblies. Get your swag now or lose out F.O.R.E.V.E.R. P.S. We are out of Youth XS. Breakfast in the Classroom is here! Breakfast in the Classroom (BIC) starts next Monday 9/11! Breakfast will be offered to all students, free of charge, in their classrooms from 7:30-8am each day. Participation is optional and students may bring breakfast from home instead. BIC breakfast is listed on the menus you receive in your Wednesday Folder or can be found at schoolcafe.com. Students arriving before 7:30 should report to the gym (K-5th Grade), or Cafeteria (PK) and they will be escorted to their classrooms after 7:30. Everyone arriving after 7:30 should head straight to the classrooms, but don’t be late! The tardy bell rings at 7:40. Teachers will begin morning meetings or lessons from 7:40-8am while the students finish eating. We’d love all volunteers to complete a new Volunteer form so we can update everyone’s interests and only email you about areas you are interested in. Returning volunteers, the volunteer requirements have changed! Training is no longer required for volunteers but those wishing to work in the classroom or chaperone field trips must submit a background check online and complete paperwork with your child’s teacher. 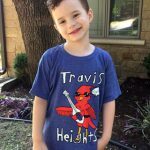 See www.travisheightselementary.com/volunteering/ and scroll to the bottom of the page for more details on completing the background checks. We are also looking for some additional members for our Fall Carnival Planning team. 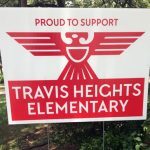 If you’d like to be a part of the team that makes the magic happen, please contact volunteers@travisheightselementary.com.